Hershey’s, the global confectionary company, is one of numerous international brands with a flagship store on Tmall Global, Alibaba’s cross-border online platform. 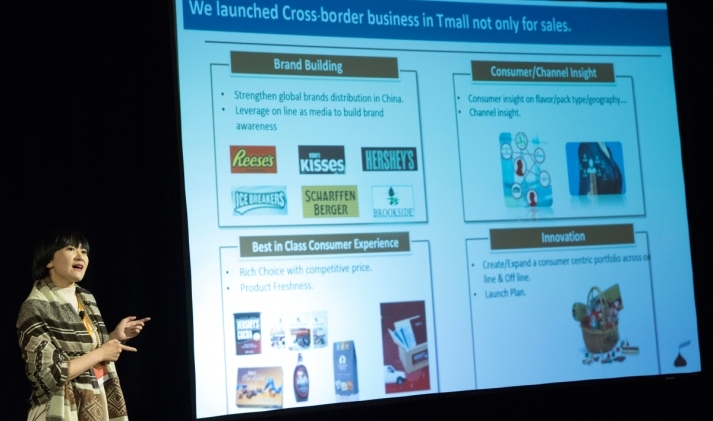 Hershey’s E-Commerce Director Sylvia Fu shared her perspective on brand building in China at a Tmall Global U.S. Workshop held March 9 in New York. What does Hershey’s business look like in China? At the moment, e-commerce is still a small portion of our total sales in China. But this part of the business has a huge potential to leapfrog in the years ahead in light of its rapid growth and huge opportunity. E-commerce is a core part of our business strategy. Even though Hershey’s has had a Tmall flagship store for domestic sales for the past three years you opened a Tmall Global storefront in October. Why the need for a presence on both marketplaces? Because there are two kinds of business models we want to take advantage of. With the Tmall store, regulations and trademark rights limit us to selling only the products we can also sell offline. Tmall Global, on the other hand, gives us the opportunity to import and introduce new products more easily. We found that when consumers search for confectionary online, “imported” is a frequently used search term. And when they search for chocolate, they are particularly interested in imports from U.S. and Japan. We wanted to tap into consumer demand for premium, imported products and an elevated consumer experience. 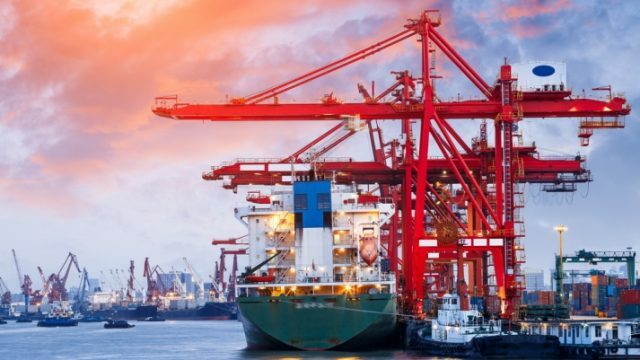 Beyond driving sales, cross border also plays a strategic role for our China business. First, we use Tmall Global to test new products and brands with our Chinese consumers to see what works. Second, we leverage the platform’s media capabilities to build brand awareness and strengthen the brand in China. Third, Alibaba provides us with valuable consumer insights that help us make decisions on things like flavors, packaging, pricing, geography and distribution. And finally, and most important of all, we use those data and insights to create and expand a consumer-centric portfolio across our entire business, both online and offline. What products exist on Hershey’s Tmall Global store that do not on the Tmall store? I can give you three examples. Hershey Nuggets is one. Brookside Chocolates are already available in China, but only in two flavors. Our Tmall Global store offers six. And we are testing our premium offering Scharffen Berger on Tmall Global to see if we want to start selling it more broadly. What does Tmall Global give you in terms of analytics that help you make business decisions and decide on which products to offer? We get data and analytics on cross-border product preferences that we can’t get from anywhere else. It’s not just for us. Alibaba offers this to all its merchants. We get insights into consumer age, geography, buying habits, etc. I share this information at all our meetings. It’s very helpful. How is Tmall Global helping you build the Hershey’s brand in China? First, Tmall Global allows us to effectively communicate with our consumers about the brand. We are very focused on store design and content optimization. The Tmall Global platform allows consumers to see the products clearly, access the product descriptions easily, and then purchase the product efficiently. We also run brand campaigns that highlight our product assets and improvements for consumers. I’ll give you an example. Two of our star SKUs are Hershey’s syrup and cocoa. Home baking is a rising trend in China so every summer we launch “baking campaigns.” We provide about 20 recipes to our consumers to teach them how to bake with our cocoa and syrup products. These kinds of campaigns better engage our consumers and introduce new products to them. We also collaborate with other manufacturers related to these campaigns. With so many stores and so much traffic across Alibaba’s platforms, collaborating is a great way to help your product stand out. How is Alimama—Alibaba’s marketing and advertising arm—helping you reach consumers? Our collaboration with Alimama is fantastic. Let me give you an example. Last year we launched a premium wedding chocolate line. It was very successful for us—in fact we sold more than 1 million RMB on the day we launched. The key to that success was Alimama and its precision marketing and advertising tools. Using the data they have not only from their marketplaces, but also location based-services and its media platform, we were able to identify people who were likely to get married. For example, people who had ordered wedding category products like invitations or visited wedding registration offices, or wedding photo studios in the past six months. Working within our budget, Alimama helped us reach our target consumers three times instead of just once, which really helped us increase our ROI. 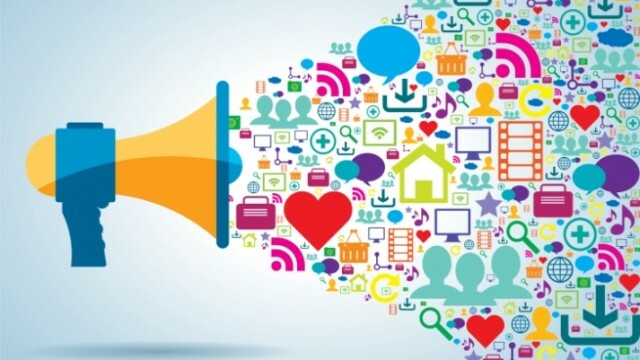 Are you using any of the Alibaba social media platforms to connect with consumers? Perhaps encouraging them to share or follow or become fans with a two-way interaction? Yes. Previously people thought of Alibaba as a pure transaction platform, but now they are clearly building up their social engagement capabilities through things like Weitao, Tmall’s social media channel. And we are really focused on creating great content to engage with our fans across Alibaba. 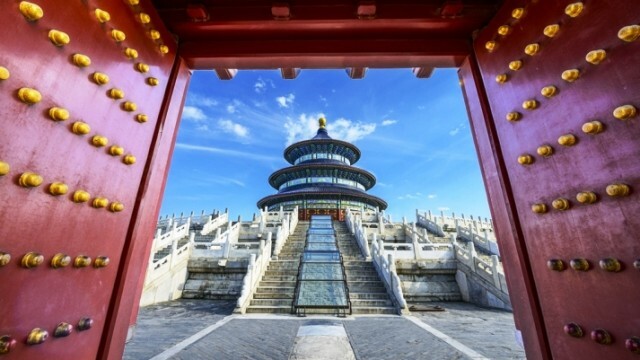 What advice do you have for other international brands looking to access China through e-commerce? You have to have a good strategy and be very consumer-centric. You need to make good decisions on the portfolio, the price, and packaging and distribution. The consumer experience is so important. However, I also encourage brands to be very bold. Yes, of course you should take the time to create a great strategy. But the business model of e-commerce is special—you cannot wait for everything to be 100% ready before moving forward. By that time you are dead. You’ll be finished. The last part is, hire the right people!